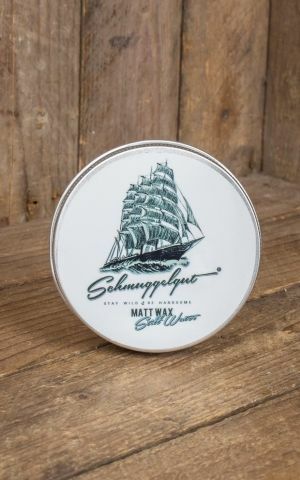 Sea bears and mutineers watch out - Schmuggelgut gets your storm-proven hair into the right shape. 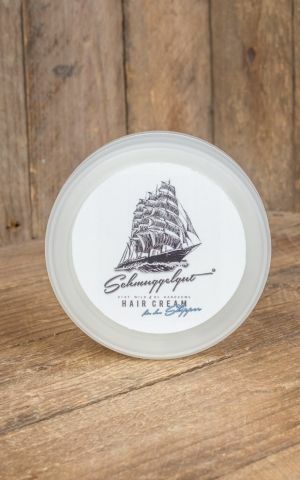 The pomades and shampoos of the experienced smugglers' crew found their way into our shop on winding paths and past the watchful eyes of badly dressed law enforcement officers. Here they are waiting for guys who are in need of a proper styling for the next shore leave. 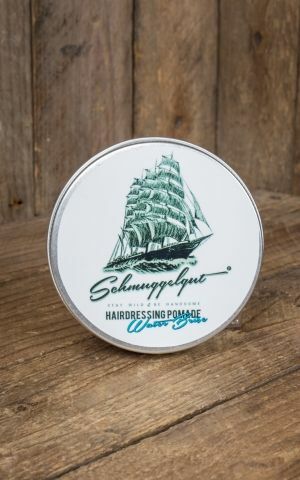 But beware: Pomades of Schmuggelgut are not for wimps who only dare to sail in light winds. Since 2003, King Barber has been selling pomades, shampoos and beard care products. The mission behind it: to leave beaten paths of styling and bring a fresh breeze into the cabins of real guys. 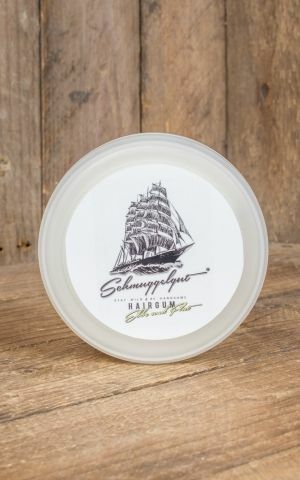 For this purpose, Schmuggelgut relies on a mix of good looks, firm hold and easy application. In addition, there is a fragrance reminiscent of adventures in distant lands, waving palm trees and gentle waves. No time to work on your hairdo for several minutes before anchoring? 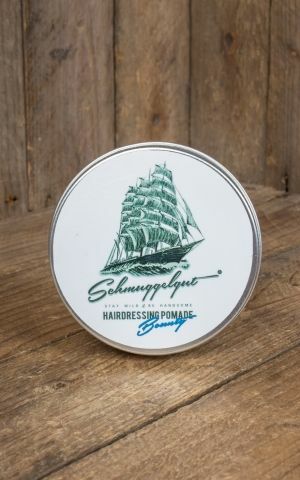 Water-based pomades of Schmuggelgut can be worked in just as quickly as washed out, ideal for beginners and moments when you need to be quick. Speaking of washing out: Schmugelgut has the right tools at their fingertips. 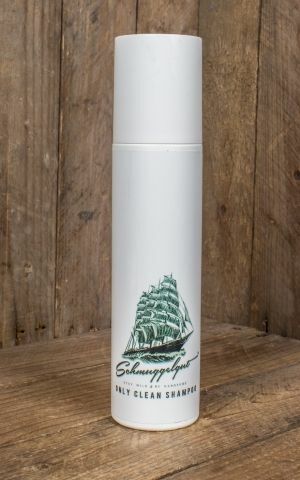 The shampoo makes clear ship on your head without artificial dyes and silicones. Schmuggelgut in our shop - almost too good for the free trade.